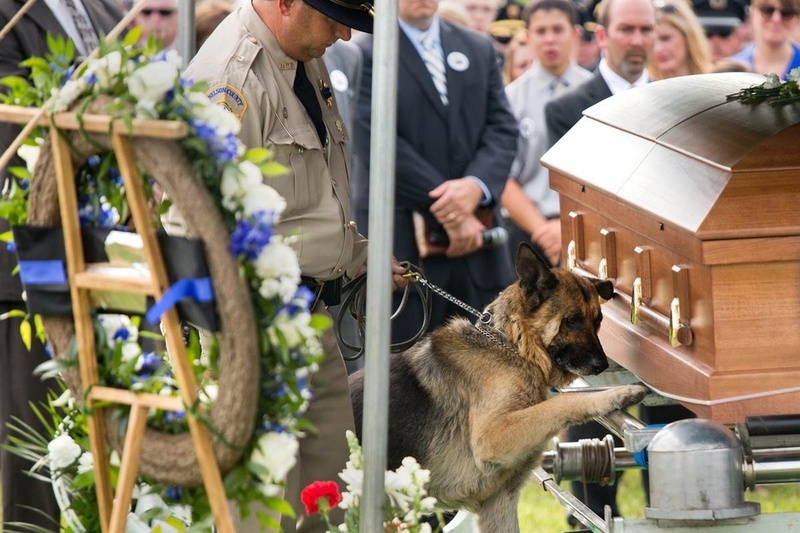 A photo demonstrating the bond between a man and his dog broke hearts across the Internet.The picture shows Figo, a K-9 officer, paying his last respects at the funeral of his fallen human partner, Kentucky police officer Jason Ellis. In the photo, Figo lays a paw on Ellis’s casket. The 33-year-old Ellis was killed in a suspected ambush. The picture generated hundreds of comments after being posted on Reddit. “Dogs can actually smell when someone or something is dead and it gives them closure. Not sure if he can tell it’s him through the coffin, but he should,” wrote one Reddit user. Next Post: A Little Girl and Her Friend, A Baby Monkey. This is a powerful piocture. It’s not often that something brings tears to my eyes at a mere glance. Reblogged this on Night Life Chronicles.